The cleaning, coating and hardening of industrial components and surfaces is a critical process step, which affects the quality of the final product. Using the LiquiSonic® inline analytical technology, the processes can be monitored continuously and in real-time, for example, in degreasing, preservative or quenching baths, to comply with the increasing demands on process safety and efficiency. The LiquiSonic® sensors from SensoTech are installed directly into the baths or pipes of any size. The sensors measure precisely the concentration of, for example, cleaning, anti-corrosive or quenching agents. This makes an immediate and exact replenishment possible to ensure an optimum process performance and product quality. Furthermore, costs savings can be realized by avoiding an excessive consumption of raw materials resulting from overdosing, and by avoiding failed productions due to insufficient re-dosing. 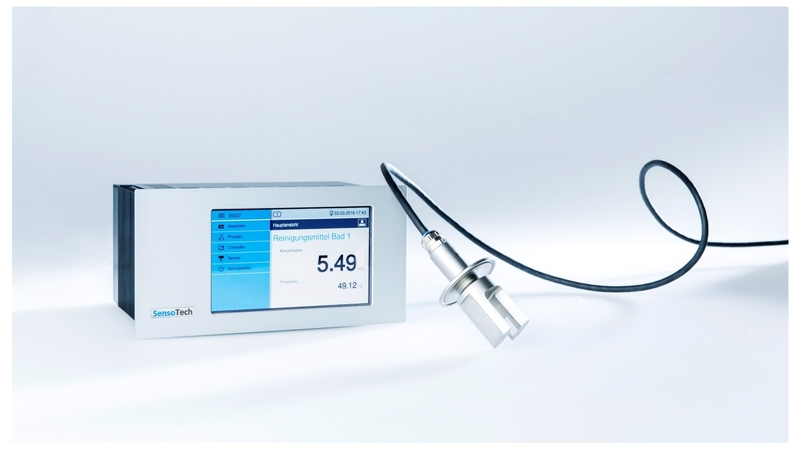 In addition to the concentration measurement, the LiquiSonic® sensors determine the contamination degree in cleaning baths. This enables the efficient control of bath changes, optimizing the component cleanliness while saving resources. The LiquiSonic® technology is based on sonic velocity measurement, providing accurate and every second updated measurement results. Moreover, sonic velocity measurement devices are particularly robust and continuously provide stable results. The sensor design requires neither moving parts nor seals or "windows" to the process, so the sensors are completely maintenance-free. The measurement is inline and the real-time information is available online for PCs and process control systems. In the LiquiSonic® controller the measurement values are displayed and stored completely. The comprehensive documentation is as direct proof of compliance with the quality related parameters bath concentration and bath temperature. The possible trend view provides a quick overview of the process flow.